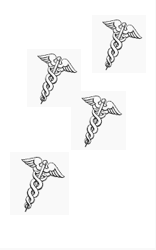 A Doctor Squared (Dr. ²) denotes one who obtains both an MD and a DNP (Doctor of Nurse Practitioner) degree. This allows independent practice and eliminates the power of MOC. Reviewing a list of affordable DNP programs in the country shows a degree from the University of Massachusetts – Boston DNP program only costs $10,180. Coursework is online, and will take only 3 years if attending part-time. Renewal of an MD license in Washington State costs $697 biannually while DNP license costs $125, putting more money in my pocket. Additionally, the continuing education requirement is different; advanced practice nurses must complete 15 hours annually while physicians need 50 hours annually even though both professions are independently practicing medicine. According to Medscape, malpractice insurance rates are $12,000 yearly (2012) for a family physician, while a family nurse practitioner pays $1200, one-tenth as high. Remember, the cost of MOC for internal medicine is $23,600 every 10 years. While the American Board of Medical Specialties (ABMS) argues MOC participation makes for better doctors, no credible proof supports this assertion; only initial board certification has been scientifically validated. Seven states already eliminated MOC compliance to maintain licensure, physician hospital employment, or insurance contracting, however this same freedom must be extended to the other 43. Until then, an alternative certification pathway through the National Board of Physicians and Surgeons exists. In 2015, the Washington State Medical Association resolved to allow alternative certification, yet MOC remains a requirement for licensure, hospital employment, and insurance contracting. Recently, HB 2257 was introduced, precluding MOC as a condition for state licensure, though overlooks the fact hospitals and insurance companies require physicians, but not nurse practitioners, to comply with MOC. Why are hospitals and insurance companies enforcing MOC compliance? Conflict of interest (COI) is defined as a person or organization experiencing multiple benefits, financial or otherwise, which can corrupt motivation or decision-making. ABMS appears full of corruption. If there is a risk one decision could be unduly influenced by a secondary interest, a COI is present. Margaret O’Kane serves on the Board of Directors at ABMS, and her secondary interest is her role as Founder and President of the National Committee for Quality Assurance (NCQA), the organization certifying insurance companies. She has each hand in a different MOC cookie jar. NCQA requires that insurers credential only physicians who comply with MOC programs. It appears Ms. O’Kane is profiting from the NCQA requirement on one hand while forcing physicians to spend millions completing MOC on the other. While the average internist earns $150,000 annually, Ms. O’Kane appears to be handsomely profiting from this “arrangement.” Wikipedia defines collusion as “an agreement between two or more parties, sometimes illegal–but always secretive–to limit open competition by deceiving, misleading, or defrauding others” to gain leverage. It is an agreement between individuals or corporations to divide a market or limit choice and opportunity. Through Ms. O’Kane, ABMS and NCQA have a connection while misrepresenting themselves as being independent. ABMS assumed physicians would never contest corruption, however numerous brave physicians are fighting: Dr. Wes Fisher, Dr. Ron Benbassett, Dr. Meg Edison, and Dr. Paul Tierstein, who created the National Board of Physicians and Surgeons, (NBPAS). While NBPAS has made headway with hospitals, not one insurance company will credential physicians who refuse MOC. Should insurance companies be in charge of our healthcare system? The Maintenance of Certification (MOC) program was initially voluntary; however when billions in potential revenue were realized, participation became mandatory. My brave friend and colleague, Meg Edison, MD refused to re-certify for the third time, yet was forced to bend to the insurer demands. We have two choices: 1) Become a Dr² –having all the knowledge and experience of a medical doctor without the regulatory capture or 2) Credential with NBPAS and leave ABMS and NCQA in the dust. Regulations will not disappear until physicians realize there is no healthcare without our blood, sweat, and tears. May we all find our way once more. If you are struggling under the weight of MOC requirements, please consider taking this survey developed by a Dr. Wes Fisher, who is leading a crusade against forced MOC compliance. Choice. Transparency. Autonomy. https://www.surveymonkey.com/r/PPA_MOCSurvey. Previous Previous post: Can UV Light Be Used to Kill Airborne Flu Virus? Our passion is to create a more peaceful, healthy world by helping you raise healthy, happy, thriving, emotionally secure kids. As trained and experienced parent coaches, we can help you transform your relationship with your children and raise respectful, responsible, cooperative kids who are self-confident, emotionally secure, and happy. Health News Blog at WordPress.com.